You think concrete is ugly? Well, maybe it is. But once it was an exciting, innovative material that got archictects excited. 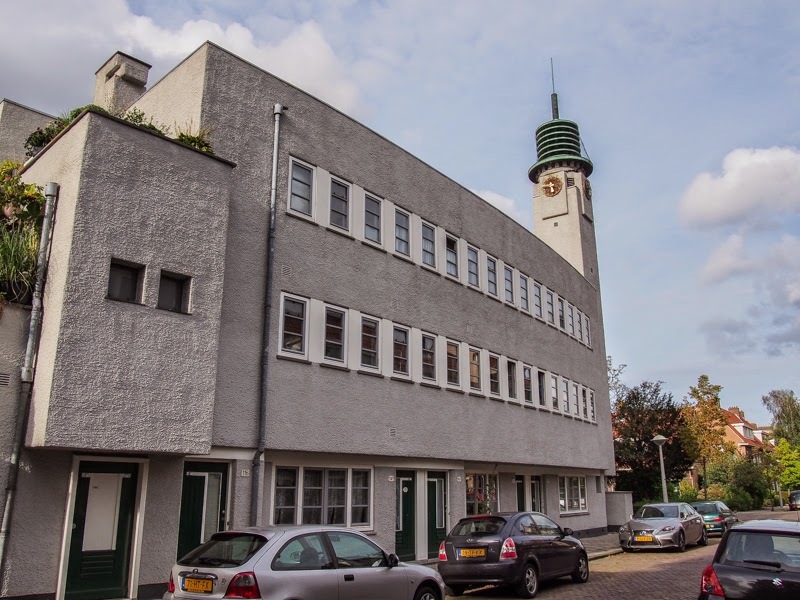 Betondorp is an experiment in futuristic building dating back to the 1920's. 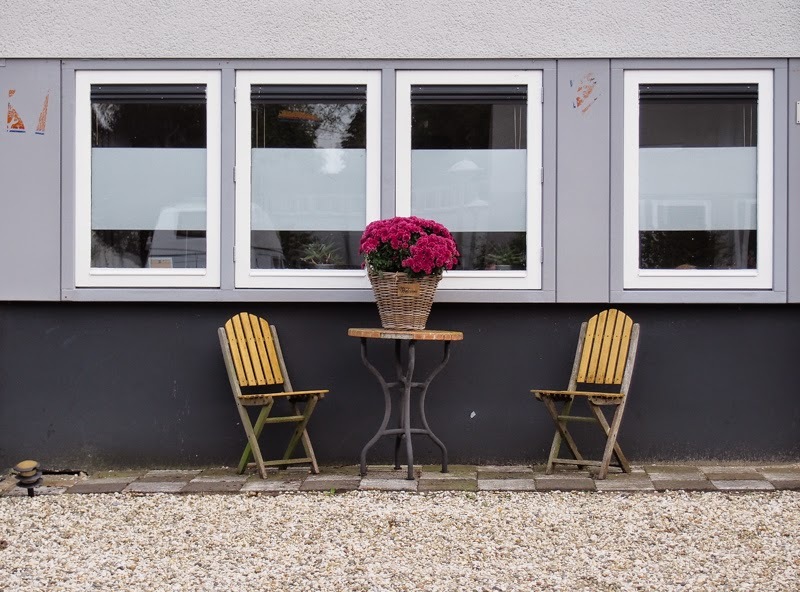 As the name indicates, Betondorp (Concrete Village) celebrates that most flexible of building materials, concrete, with a view of creating a cozy, village-like atmosphere for working-class families. The eastern part of Amsterdam, the Watergraafsmeer neighbourhood, 20 mins cycling from the historic center. Map. 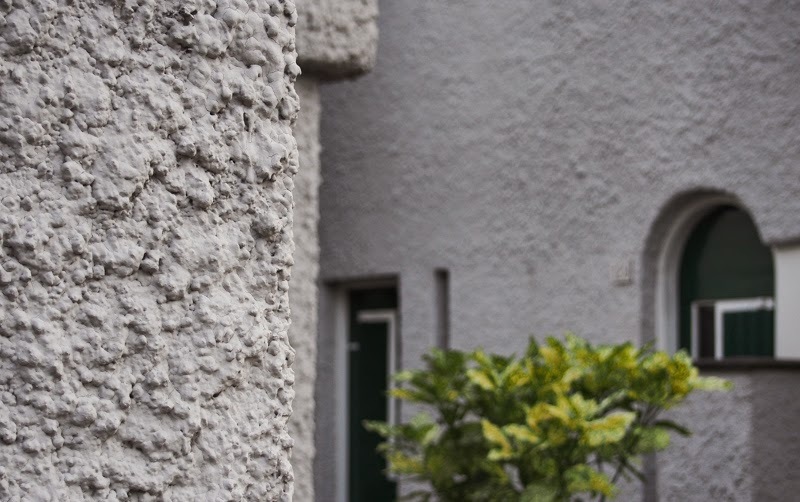 AS NAMES GO, Betondorp (Concrete Village) is probably not what would get a prospective buyer of real estate excited. 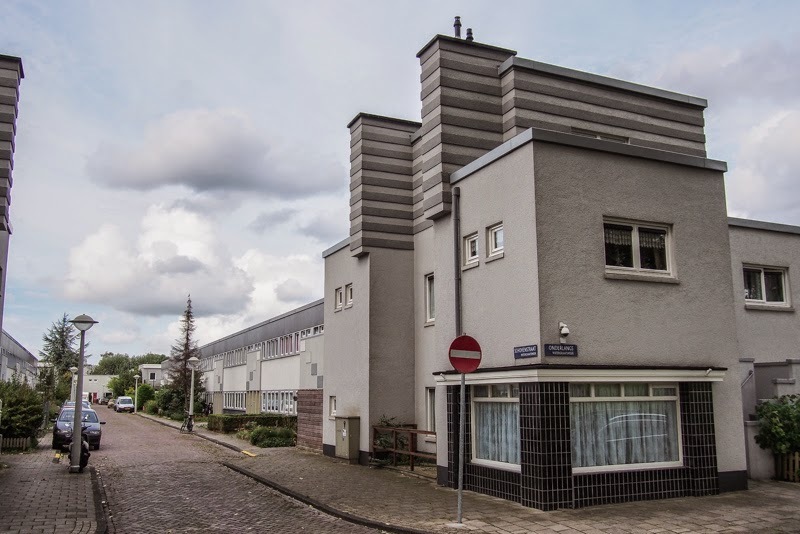 But Betondorp was a future-forward experiment in building that aimed to explore new alternative ways of housing the working classes. After WWI, bricks had become expensive, and cost was a major issue when building affordable homes. 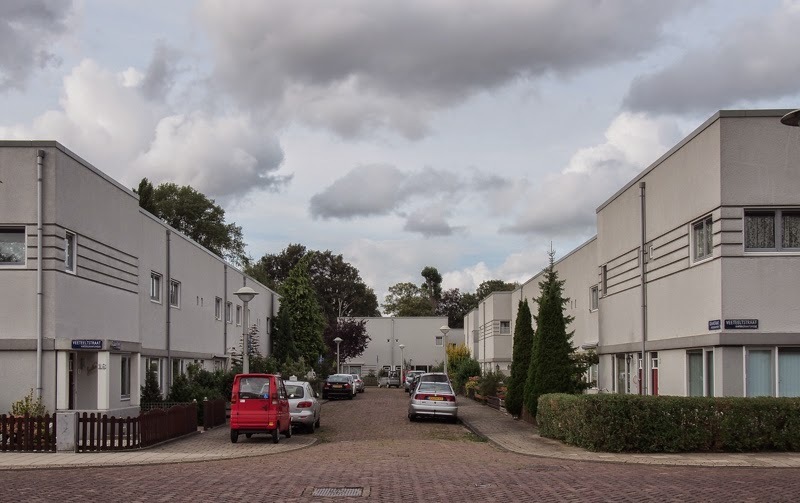 Betondorp would explore and celebrate new ways of building, using fewer bricklayers and builders, and lots more concrete and system construction. The the left, the Past. To the right, the Future. 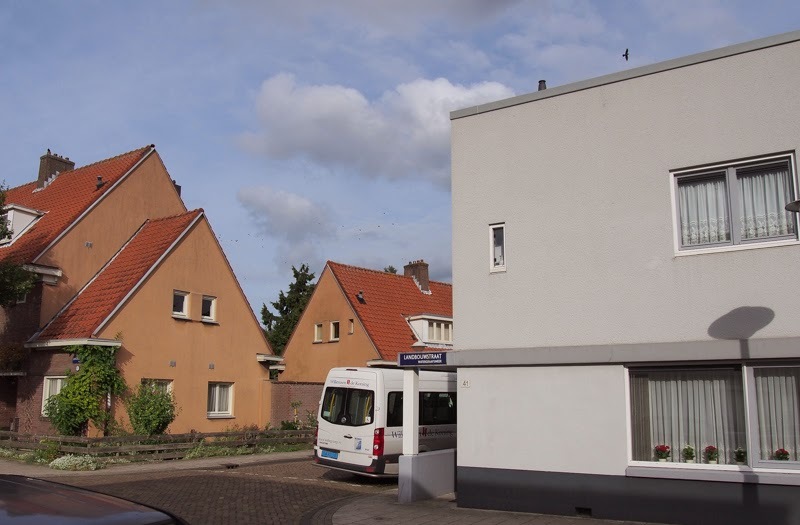 Now, almost 100 years later, the houses of Betondorp look decidedly dated, but its futuristic vision has to a large extent become reality: the economies of scale offered by concrete-based systems have become standard building techniques. The 1920s were the early years of Art Deco. 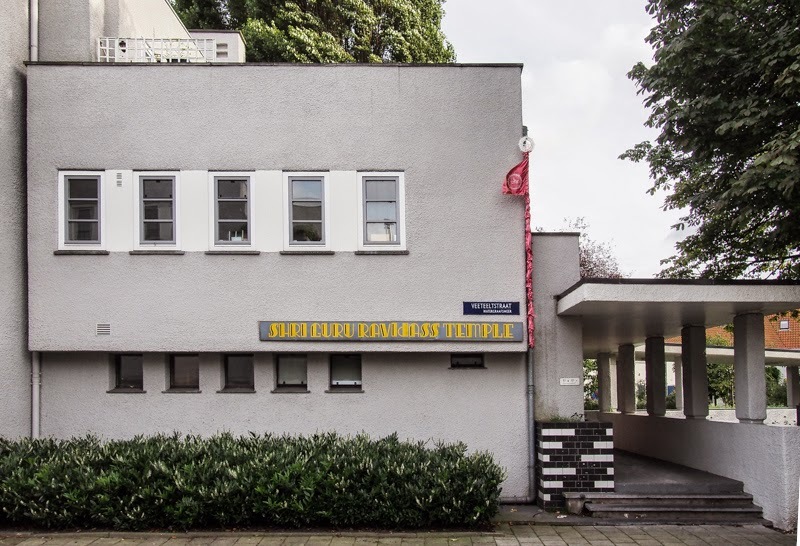 Rejecting the decorative approach explored by the Amsterdamse School (see my article here) Betondorp became a feast of cool minimalism in grey and white. 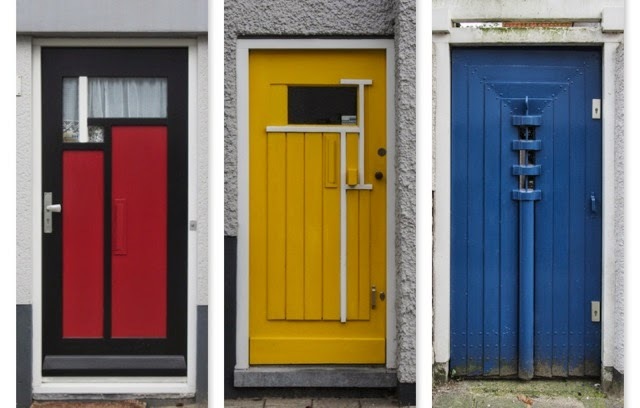 The only touches of colour were provided by the doors in primary red, yellow and blue, as used by fellow revolutionaries Mondriaan and De Stijl. Composition in grey and blue. Rough edges: the concrete plasterwork has a 3-dimensional texture. 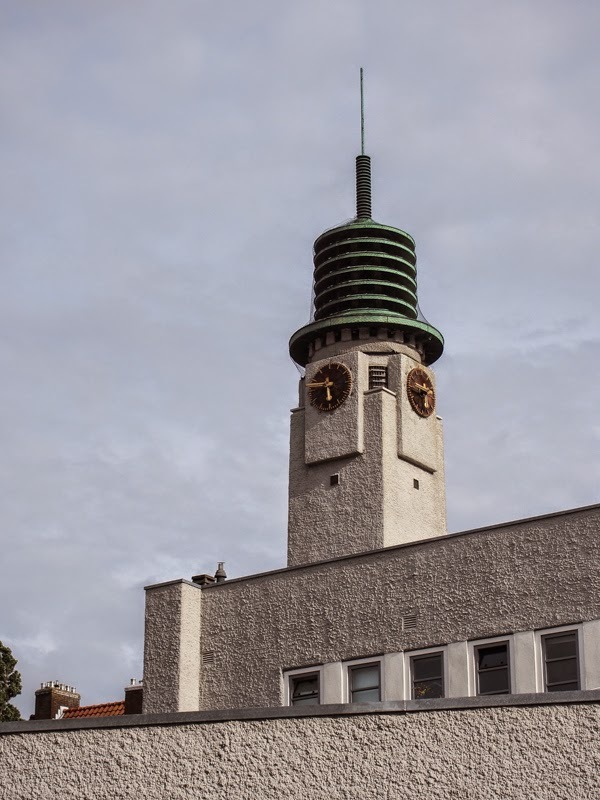 The Art Deco clocktower- not a church as this was a Socialist Workers' Paradise! The Guru Ravidass temple. Very un-Indian! The best way to get here is by bike. It's a straightforward trip down Middenweg from central Amsterdam. Those not brave enough to brave Amsterdam traffic by bike can take tram 9, which stops a few 100 m away. In either case, a visit to Betondorp is best combined with a stop at Frankendael (see full article.) Combining 20th century minimalist concrete with Frankendael's 17th century Baroque makes for an interesting study in contrasts! And did you know that Johan Cruyff grew up in Betondorp? He was born in the Burgerziekenhuis hospital along Linnaeusstraat in another part of eastern Amsterdam, the building that is now the Manor hotel. Yes, I had read that somewhere. 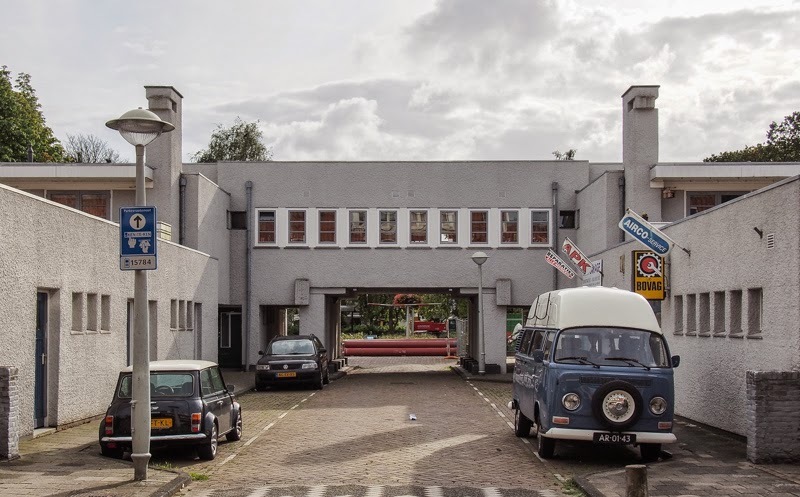 the old Ajax stadium, De Meer, was right across the street... Have you been to Betondorp? any particular recommendations?